As seen on E.W.T.N. 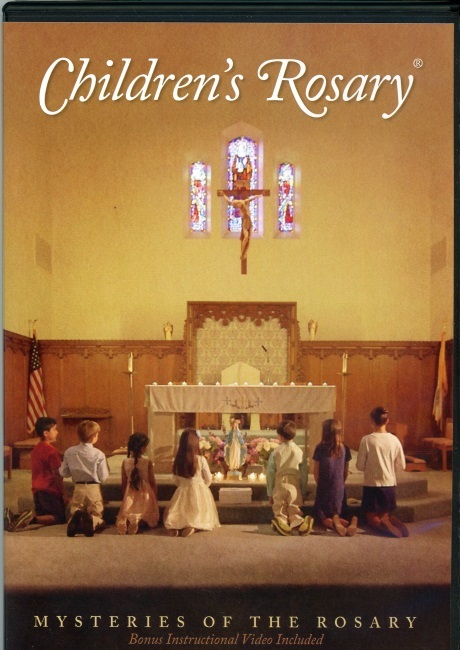 this Children's Rosary DVD includes all four mysteries of the rosary - Joyful, Sorrowful, Luminous, and Glorious - led by members of the Children's Rosary Prayer Group movement. It will easily become a favorite method of prayer for both young and old! Also included on this DVD is the Children's Rosary theme song featuring little ones from around the world and bonus features that include an instructional video with step by step explanations of How to Start a CRP Group and How to Run your first CRPG meeting as well as Answers to Frequently Asked Questions by Blythe Kaufman, founder.